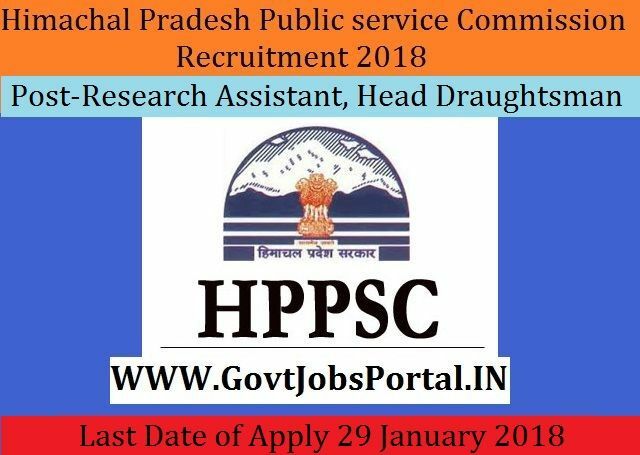 Himachal Pradesh Public Service Commission is going to recruit fresher candidates in India for Research Assistant, Head Draughtsman Posts. So, those candidates who are willing to work with this organization they May apply for this post. Last Date of Apply 29-January-2018. Total numbers of vacancies are 55 Posts. Only those candidates are eligible who have passed Bachelor degree in Architecture of a recognized Institution or its equivalent or Diploma course in Architectural Assistantship awarded by the State Board with 03 years experience under a qualified Architect after qualifying Diploma course. Indian citizen having age in between 18 to 45 years can apply for this Himachal Pradesh Public Service Commission Recruitment 2018. Educational Criteria: Only those candidates are eligible who have passed Bachelor degree in Architecture of a recognized Institution or its equivalent or Diploma course in Architectural Assistantship awarded by the State Board with 03 years experience under a qualified Architect after qualifying Diploma course.